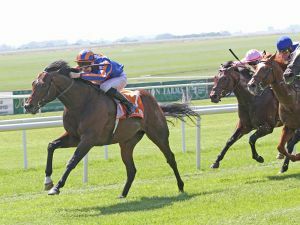 It was a Classic double for graduates of Book 1 of the Tattersalls October Yearling Sale at The Curragh over the weekend following the victories of POWER and SAMITAR in the Irish 2,000 and 1,000 Guineas respectively. The victories follow the 2,000 Guineas success of another October 1 graduate, CAMELOT, who is a short priced favourite to win the Derby at Epsom this coming weekend. The OASIS DREAM colt POWER put his below par run in the 2,000 Guineas at Newmarket behind him with an impressive victory in the Group 1 Irish 2,000 Guineas for Aidan O’Brien. Buyers must be kicking themselves after the colt out of the INCHINOR mare FRAPPE and a half-brother to the Group 2 Ribblesdale winner THAKAFAAT, was led out of the ring unsold for 50,000 guineas at the 2010 Tattersalls October Yearling Sale Book 1 before being sold privately to the Coolmore team subsequently. POWER was consigned to the October 1 Sale by Highclere Stud on behalf of his breeders Norelands Stud and Hugo Lascelles. SAMITAR completed the Guineas double for October 1 graduates when she upset the 1,000 Guineas winner and favourite HOMECOMING QUEEN by winning the Group 1 Irish 1,000 Guineas. The Mick Channon trained daughter of ROCK OF GIBRALTAR out of the RAINBOW QUEST mare AILEEN’S GIFT was another bargain buy, being purchased by Gill Richardson for 39,000 guineas at October 1 from Patrick and Tania Trant’s Norman Court Stud on behalf of Nick & Olga Dhandsa & John & Zoe Webster. Following a second in the Group 1 Fillies’ Mile she rounded out her two-year-old year when winning the £300,000 Tattersalls Millions 2YO Fillies’ Trophy. 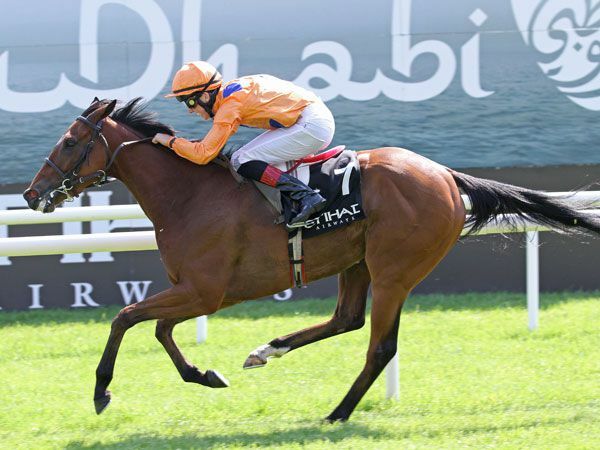 She was subsequently sold privately to Martin Schwartz earlier this year, and following below par efforts in the £150,000 Tattersalls Millions 3YO Sprint and Group 1 Poule D‘Essai Des Pouliches, produced a career best performance in winning the Irish 1,000 Guineas. Both POWER and SAMITAR have siblings who are to be offered at the 2012 renewal of Book 1 of the Tattersalls October Yearling Sale. Lofts Hall Stud will offer a SHAMARDAL colt out of FRAPPE whilst Norman Court Stud will offer a SIXTIES ICON colt out of AILEEN’S GIFT. The 2012 Tattersalls October Yearling Sale Book 1 takes place from October 10-12.